I don’t remember when I first heard about Gaggan. I asked Ren and she doesn’t really know either, though she thinks it may have been when she first saw the list of The World’s 50 Best Restaurants. 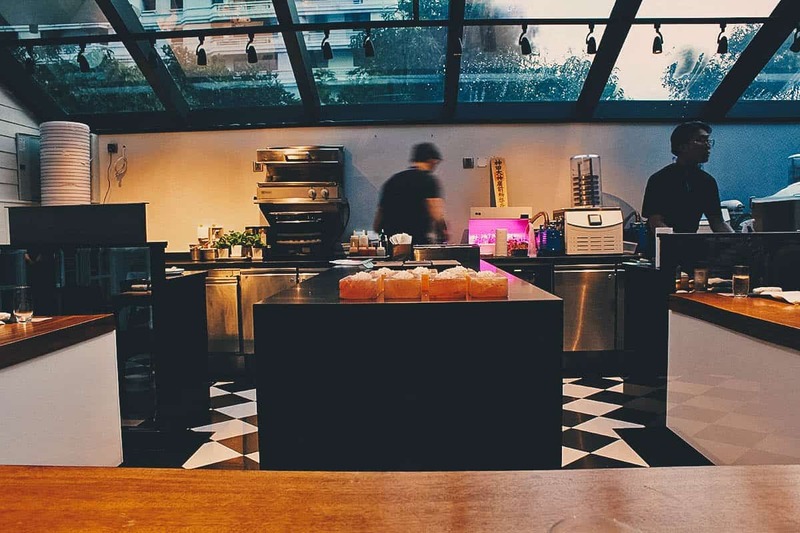 That must have been a few years years ago when the list’s top spots were occupied by mainstays like elBulli, The Fat Duck, Noma, and El Celler de Can Roca. 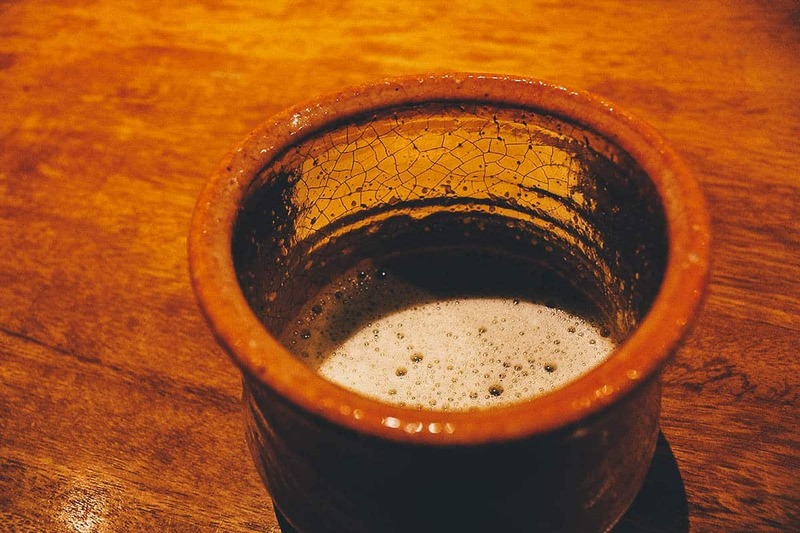 What stood out about Gaggan was that it was the only Indian restaurant on that list. 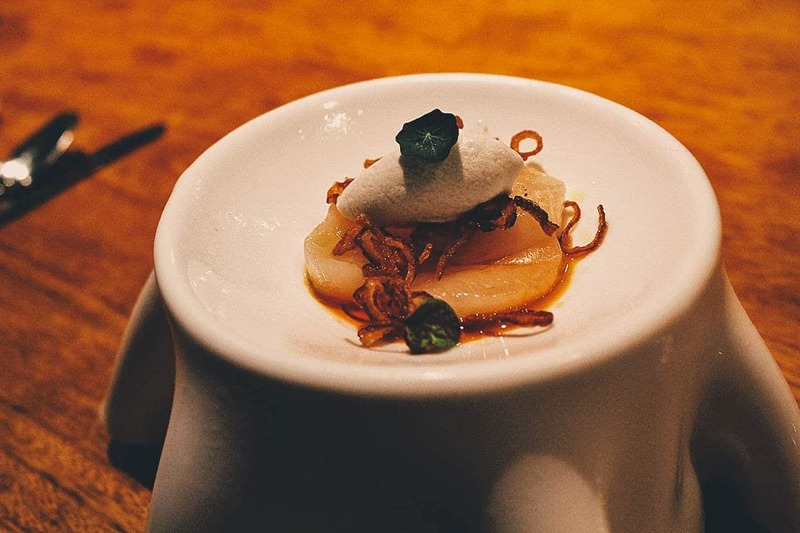 An Indian fine dining restaurant, known for its molecular gastronomy techniques, in Bangkok of all places. I had never heard of Indian fine dining before let alone Indian molecular gastronomy. This restaurant was different, and clearly, it was special. 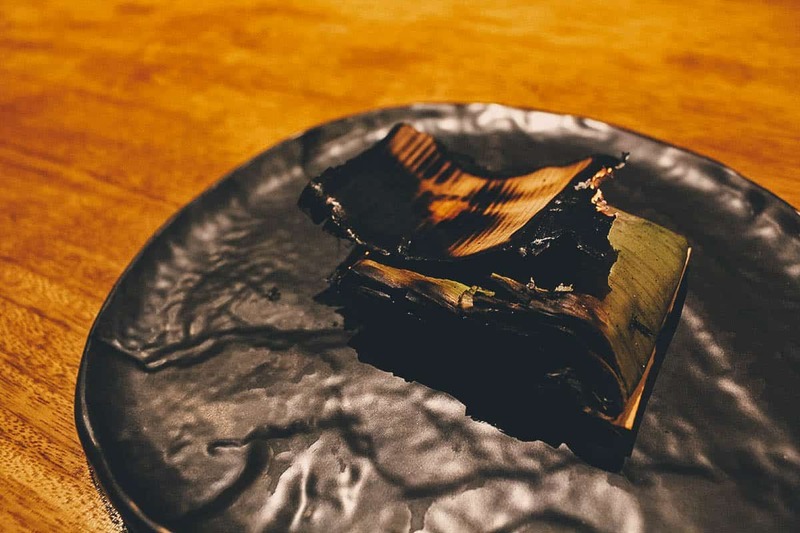 We knew it was only a matter of time before we’d find ourselves in Bangkok again, and when that trip happened, we promised to treat ourselves to a meal at Gaggan. And here we are. 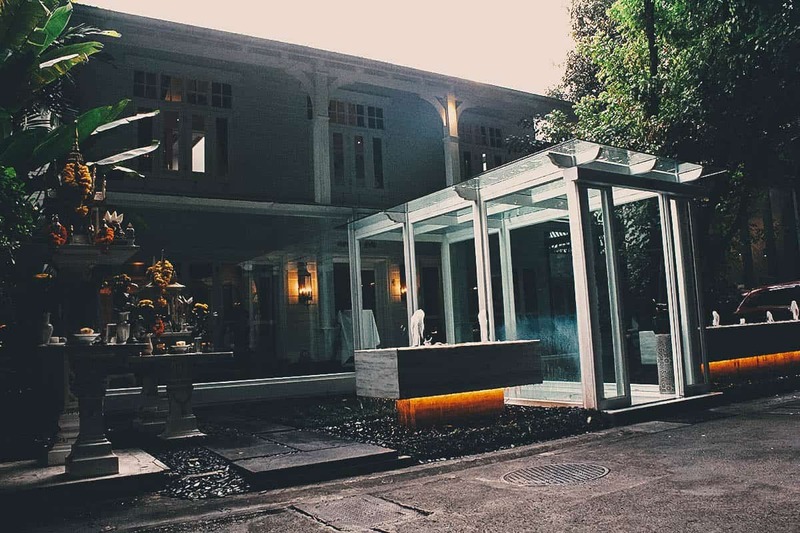 Gaggan is a restaurant in Bangkok, Thailand named after owner and executive chef, Gaggan Anand. Chef Anand was born in Kolkata, India and became the first chef of Indian descent to intern for Ferran Adrià of elBulli fame. Like his mentor, Chef Anand’s uses molecular gastronomy techniques in the preparation and presentation of his food. 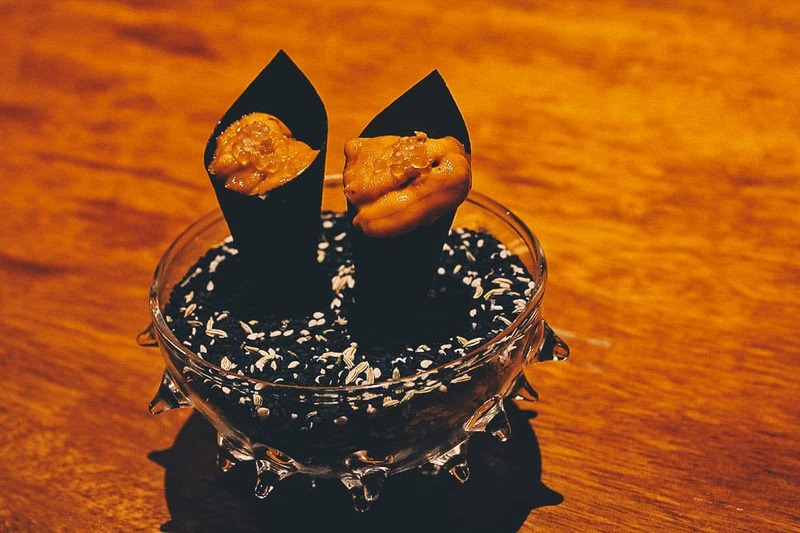 After living and working in Bangkok since 2007, he opened Gaggan in 2010 in the hopes of elevating Indian cuisine to the same fine dining levels seen by other styles of cuisine like French and Japanese. 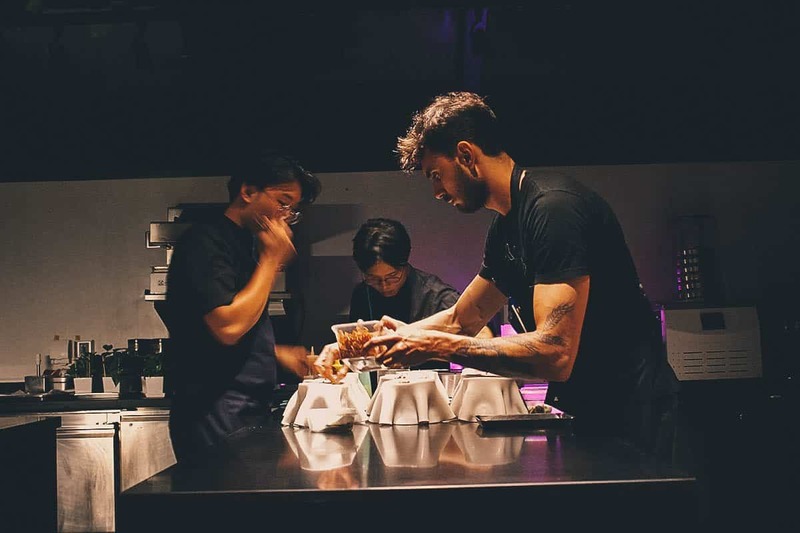 He’s taken the culinary world by storm, making the list of The World’s 50 Best Restaurants every year from 2014-2018. 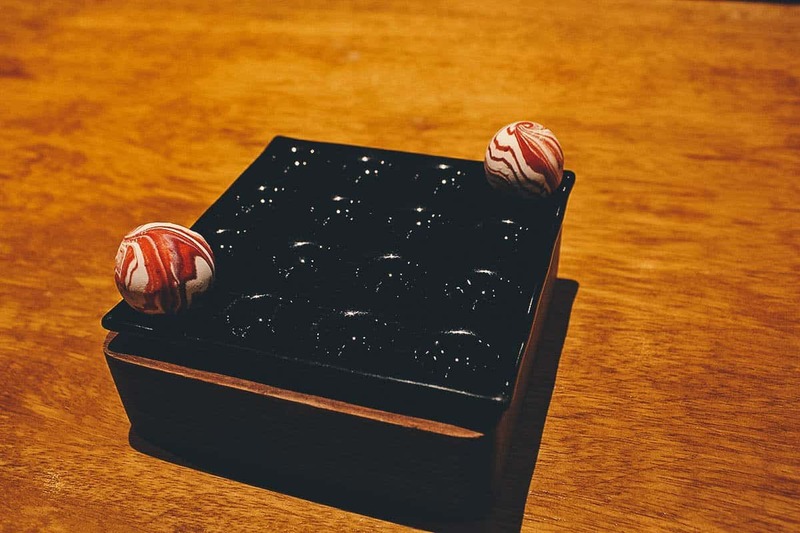 Gaggan received its highest spot to date in 2018, ranking as the 5th best restaurant in the world and the very best in Asia. It remains the only Indian restaurant to ever rank in the top 50. 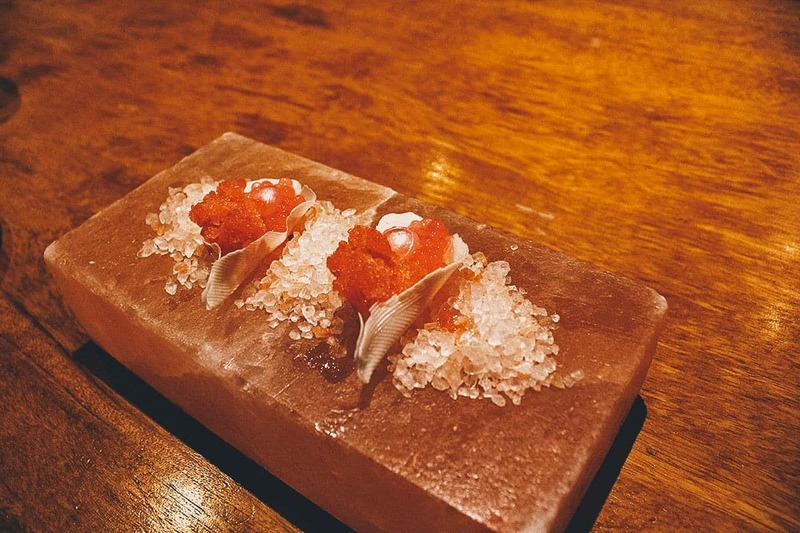 To top it off, Gaggan received two stars in the inaugural edition of the Bangkok Michelin Guide. 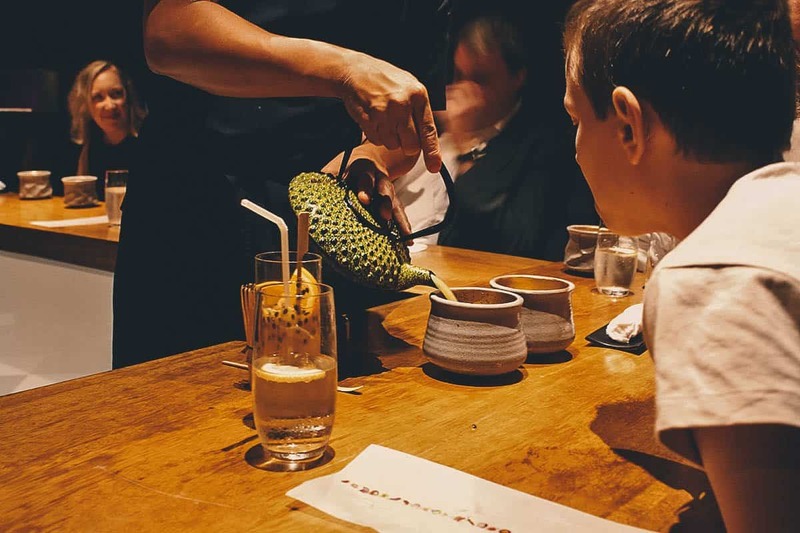 Eight years young and Gaggan’s star continues to rise. 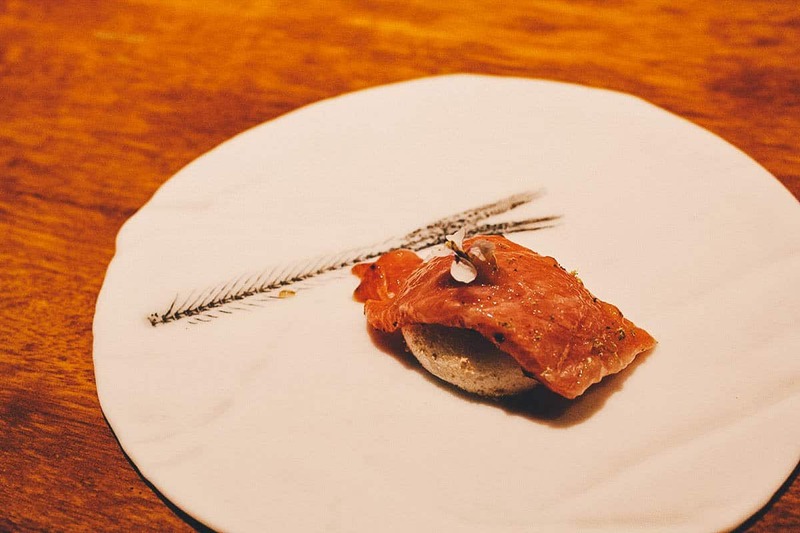 In spite of the restaurant’s success, Chef Anand has announced he’ll be closing Gaggan in 2020 to open a 10-seater weekend-only restaurant in Fukuoka, Japan. 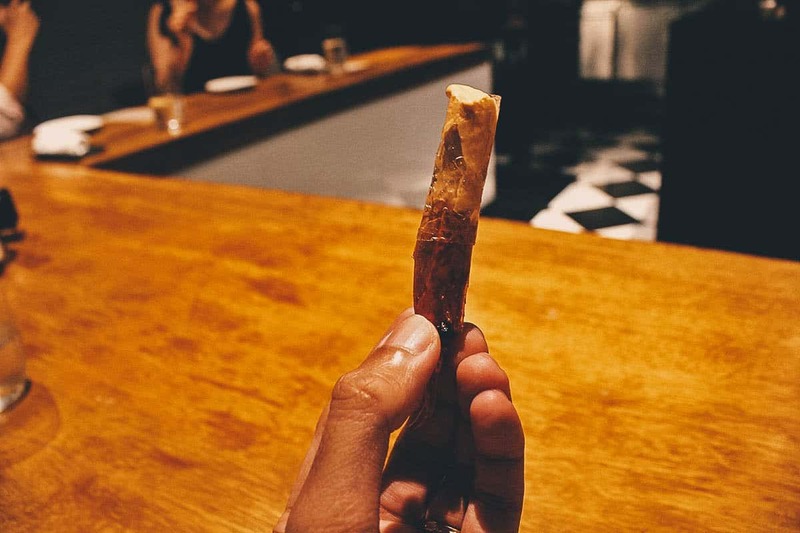 It’s for this reason why we wanted to experience Gaggan as soon as possible. It will only get more popular as 2020 draws near, so you may want to book a table now while you still can. 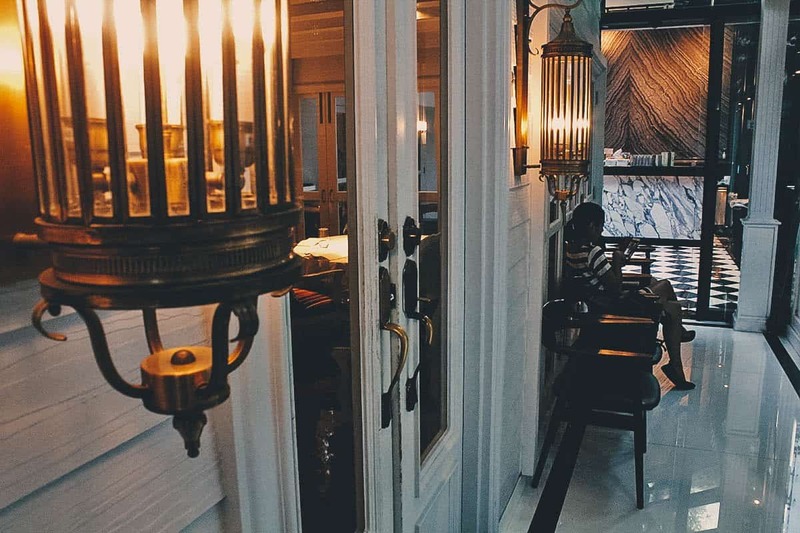 Gaggan is located in a former 19th century townhouse. It’s in a beautiful space, which is refreshingly much more relaxed than you’d expect a place of this caliber to be. 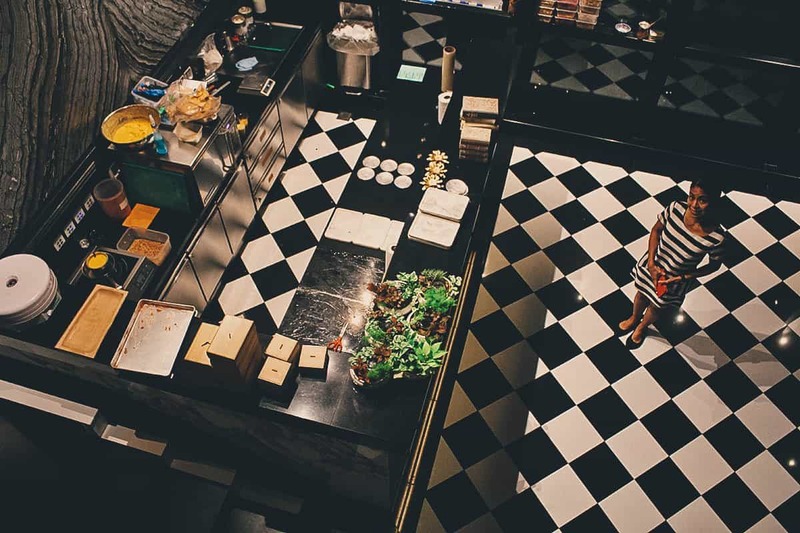 The restaurant is divided into several small enclosed dining rooms spread out over two floors. This is bar none the best table in the house. Located on an interior balcony on the second floor is this open kitchen space under a sloped glass ceiling. It seats 14 diners in a U-shaped pattern so you can watch the chefs prepare every course. This is where you want to be. I don’t know what I did in a former life to be seated here, right at the center of the Chef’s Table. We had the best seats in the house. I guess it has something to do with the fact that I made our reservations over five months in advance. I’m not sure if you can request to be seated at this table, so I suggest making reservations as early as possible. Like any hot restaurant, Gaggan is booked several months in advance so planning ahead of time is a must. It was fun watching these talented chefs in action. They seemed to hail from every corner of the globe like Korea, Brazil, and Norway. There was even one chef from the Philippines! We arrived early and saw the chefs enjoying a “family meal” together before dinner service. It was prepared by the Filipina chef who introduced favorites like adobo and sinigang to the kitchen staff. Listening to them compliment her food, it was clear some of them had never tried Filipino food before. Very cool! Unfortunately, Chef Anand wasn’t here tonight because he was traveling in South America at the time. Bummer! 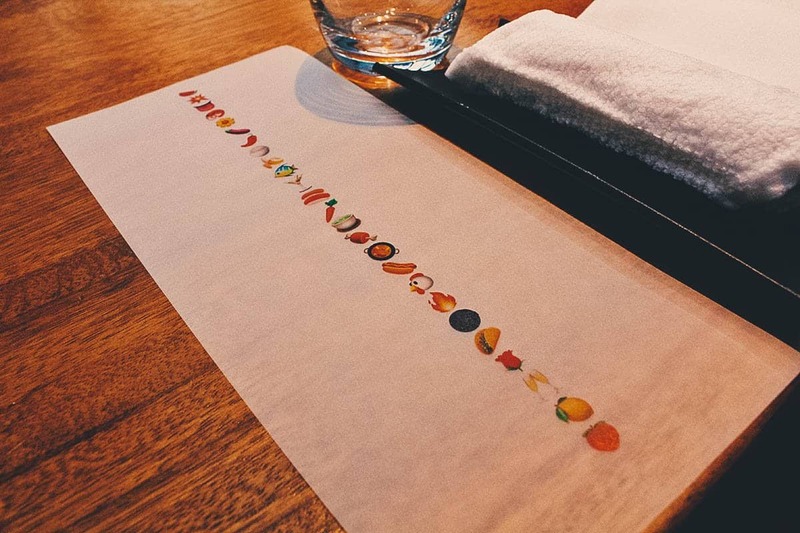 Gaggan is famous for its emoji menu. There are no words or descriptions, just emojis to represent each course. 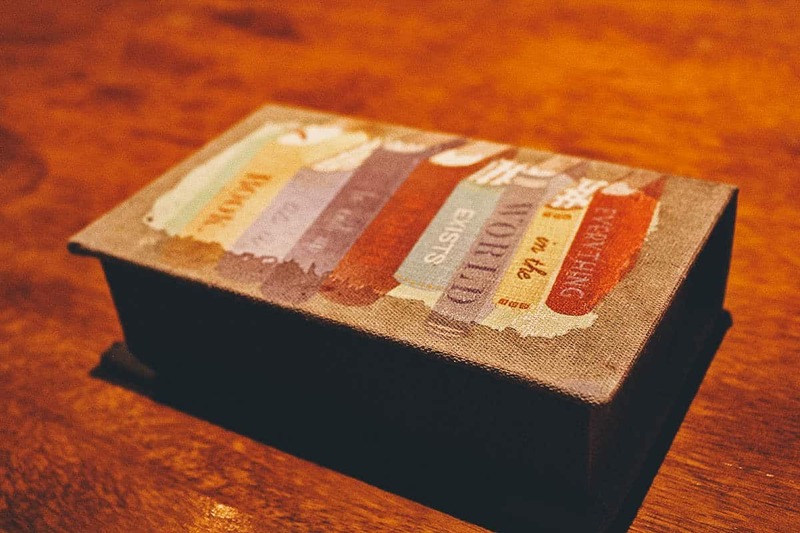 It’s a whimsical touch that shows the playfulness and creativity of Chef Anand. He may have elevated Indian cuisine to fine dining levels but his food remains fun and unpretentious. It’s an enjoyable experience that wows but doesn’t intimidate. We got to bring home these menus and I am so framing mine. The restaurant is only open for dinner. There’s no a la carte menu – everyone enjoys the same 25-course tasting menu regardless of where they’re seated. 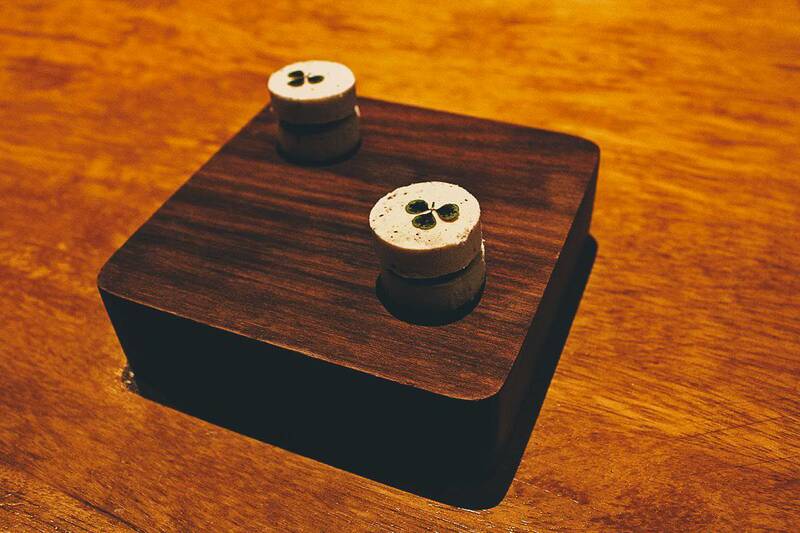 Gaggan’s degustation costs THB 5,000++ per person and is served over two hours with two seating times, at 6 and 9PM. Apologies for the clumsy descriptions, but as you can see from their emoji menu, there’s nothing to describe each dish. The sous chef would explain each course as it was served to us, so I’ll try to relay what was said from memory as best I can. FIRST COURSE: Made with black salt and watermelon, they called this first course “welcome drink”. You put the whole thing in your mouth and it crumbles and melts into a slush that really does taste and feel like a watermelon welcome drink! SECOND COURSE: They call this Yogurt Explosion. It’s similar in appearance and texture to a soft-boiled egg, but the white part is made with yogurt which is filled with a curry yolk. This is the perfect example of how molecular gastronomy fucks with your mind. You put it in your mouth expecting egg, but you get yogurt and curry instead. It’s amazing. 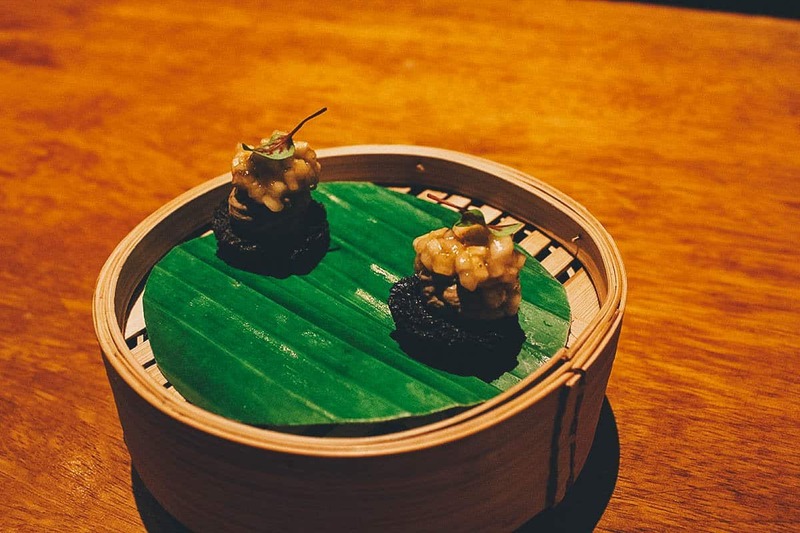 In the sous chef’s words, this is the dish that made Gaggan a millionaire. THIRD COURSE: This next dish made with a mushroom and pea puree was the most fun. See the words “Lick it up”? 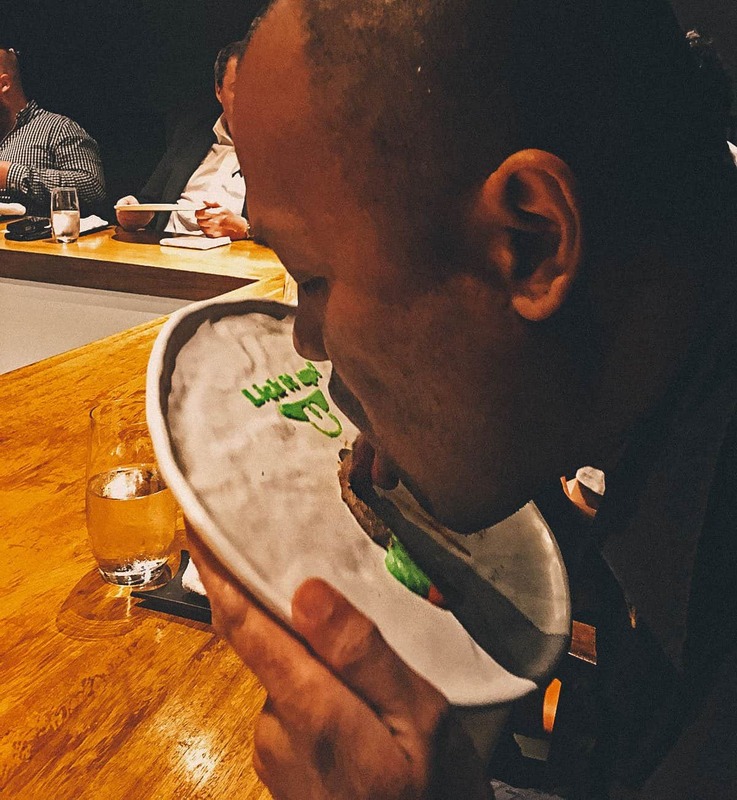 That’s exactly how you’re supposed to eat it – you lick it all off the plate! 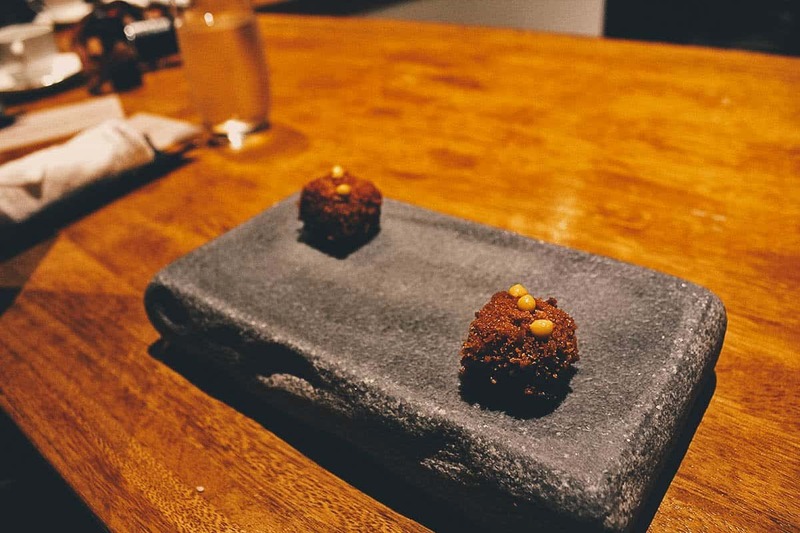 In spite of their reputation, this dish goes to show just how down to earth and playful Gaggan is. He’s like a kid in a lab coming up with inventive ways of preparing and presenting food. I love it! FOURTH COURSE: This was awesome. I’m holding a dehydrated shrimp head wrapped in some type of clear edible material which they filled up with chilled “tom yum ice cream”. In spite of being cold, it really did taste just like tom yum! FIFTH COURSE: Pretty isn’t it? 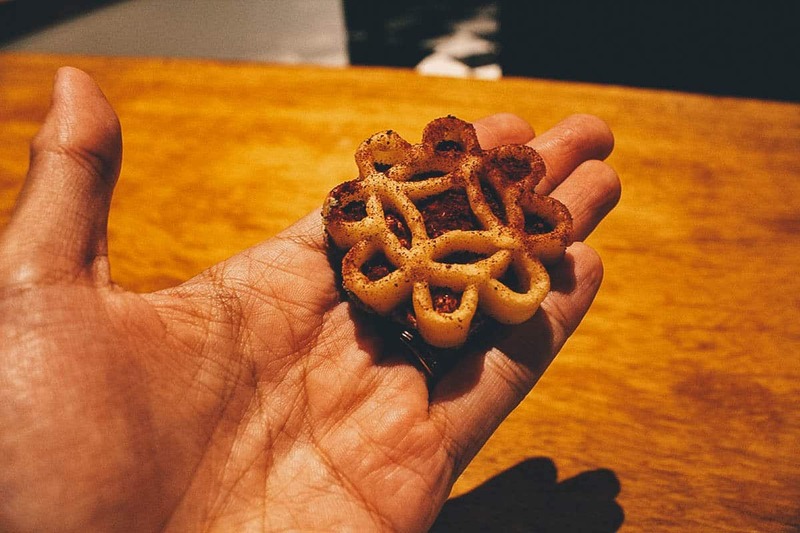 This cookie shaped like a flower was made with goat brain. 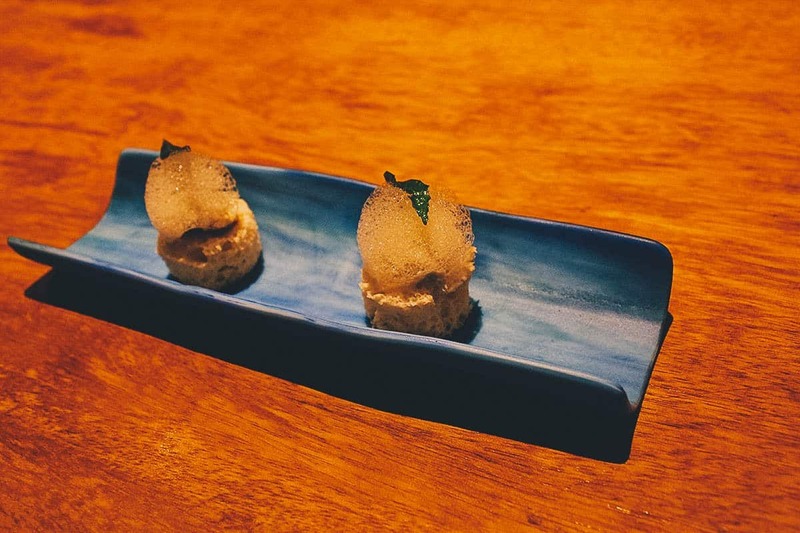 SIXTH COURSE: I think this eggplant cookie is another of Gaggan’s signature dishes. I can’t remember the exact process but it sounded laborious and tedious to make. As the sous chef described, it takes five days to make this eggplant cookie but just five seconds to consume it. 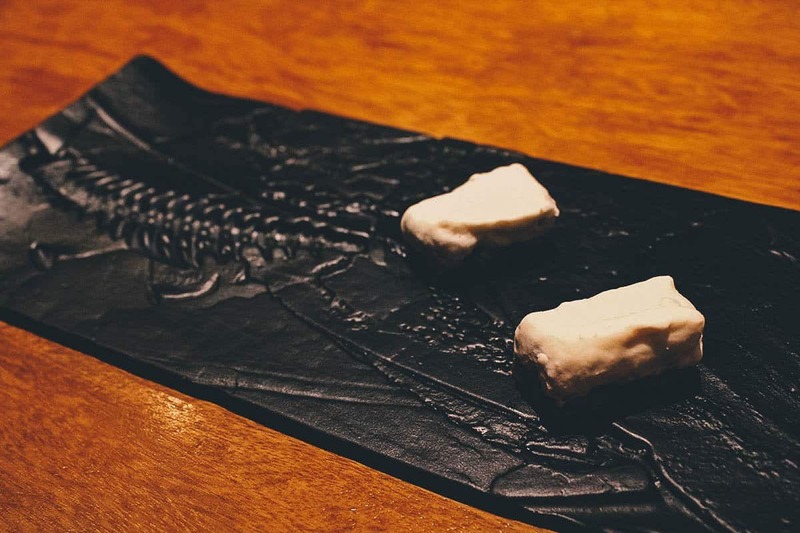 SEVENTH COURSE: These white chocolate bon bons were filled with a mildly spicy chili liquid. EIGHTH COURSE: This is Gaggan’s take on idli sambar, a traditional South Indian breakfast dish made with fermented black lentils and rice. NINTH COURSE: According to the sous chef, this banana and chicken liver dish was inspired by one of Gaggan’s Indian chefs. She said that growing up, her mother (or was it her grandmother?) used to make a dish with bananas and chicken liver. The other chefs couldn’t believe that the pairing would work, but it did, so they created their own version. TENTH COURSE: Chilled and with the texture of granola bars, these look like they’re covered in white chocolate, but they aren’t. They’re actually made with fish! ELEVENTH COURSE: These gin and tonic uni handrolls were incredible and one of my favorite dishes from the night. The wrapper isn’t made with nori, it’s made with dill. I don’t know how they do it but you get a burst of gin and tonic flavor when you put it in your mouth. Amazing! TWELFTH COURSE: I don’t remember what they used, but this piece of chuotoro nigiri sushi was paired with something other than rice. It had the texture of an airy, powdery biscuit. THIRTEENTH COURSE: In my hand is a dish made with foie gras, yuzu, and carrot. 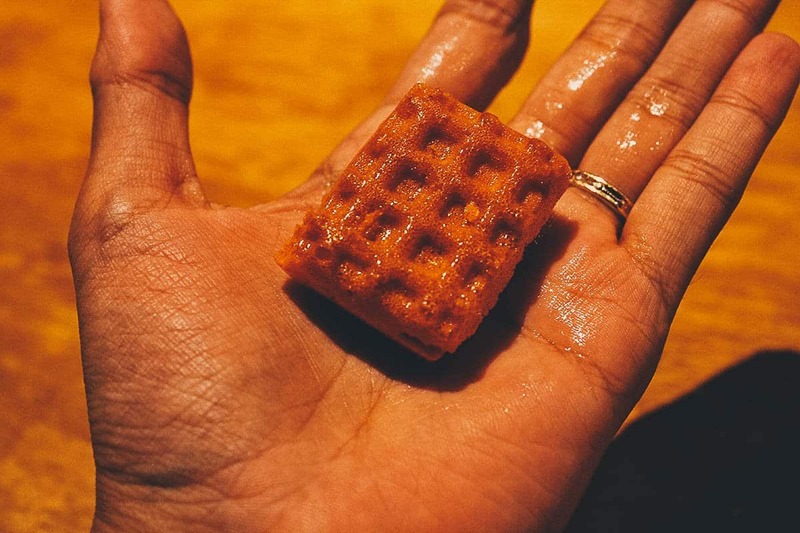 They sprayed our hands with a liquid, probably for smell, before putting this waffle-like orange biscuit on top. They asked us to smell it before eating it all in one bite. 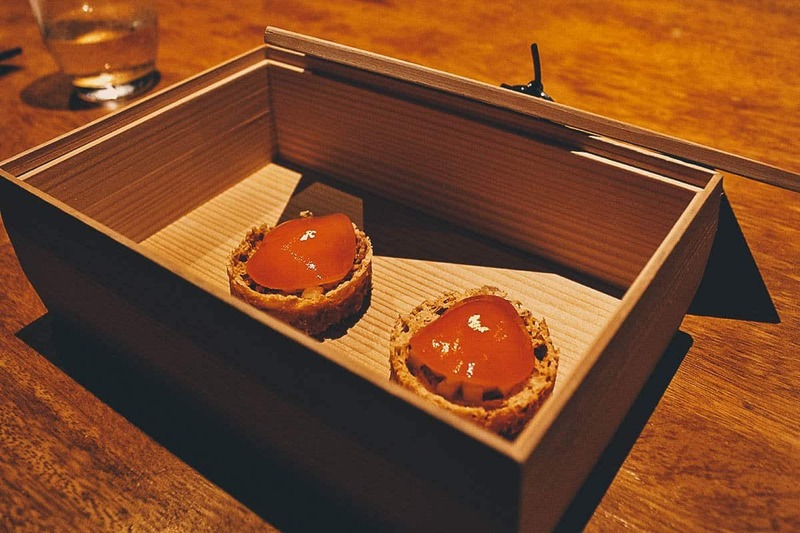 It tasted exactly how it’s described – like foie gras with yuzu and carrot. Wow! 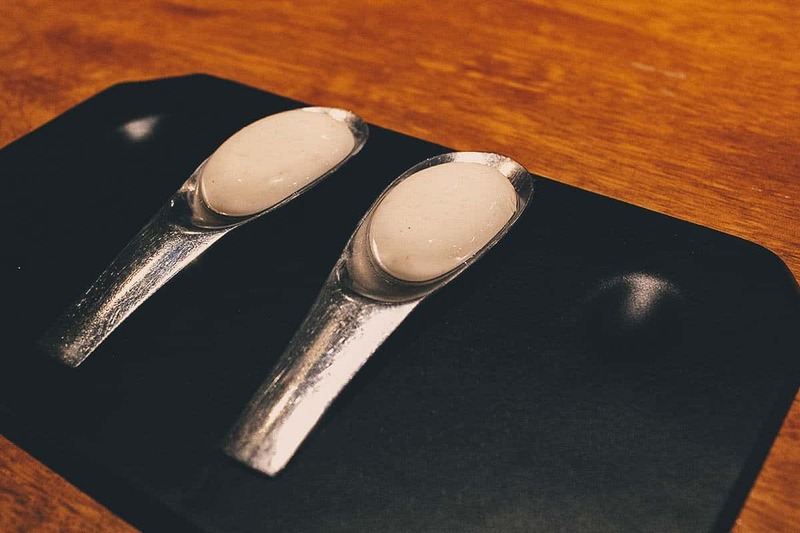 FOURTEENTH COURSE: This is another example of how molecular gastronomy messes with your brain. They call this a “matcha palate cleanser”. They go through the motions of preparing and serving it exactly like you would traditional matcha, but it isn’t made with any green tea whatsoever. Instead, it’s made with asparagus and other green vegetables. And there it is, our matcha palate cleanser. It looks just like green tea, but it tasted like chilled asparagus. FIFTEENTH COURSE: This dish was pork vindaloo prepared like Japanese tonkatsu. SIXTEENTH COURSE: This was another of my favorite courses. It’s made with raw scallop and curry. Delicious! 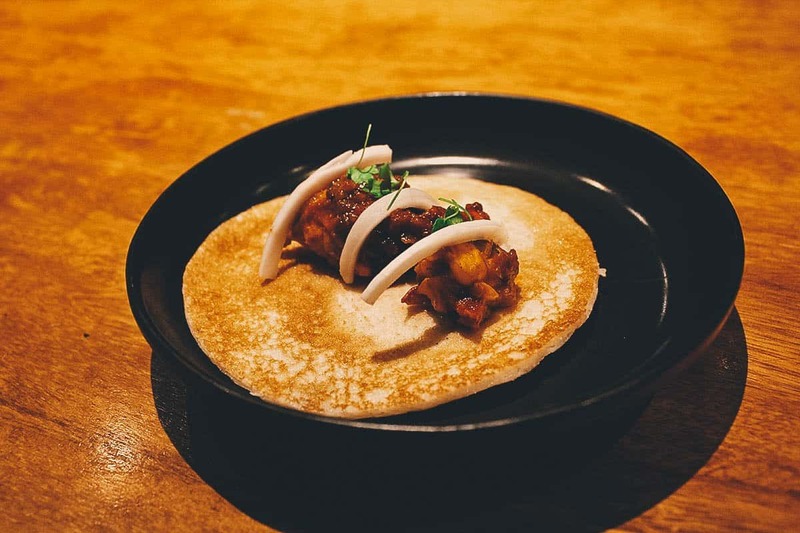 SEVENTEENTH COURSE: This curious-looking dish consists of Indian lamb kebabs made with lamb intestines, and served in a plant. Yes, a plant. According to the sous chef, they didn’t do anything novel with how the kebabs were prepared. Instead, they decided to play with its presentation. It’s kind of hard to see in this picture, but do you notice those darker leaves? They’re actually wraps made with mango chutney that were shaped to look like leaves. 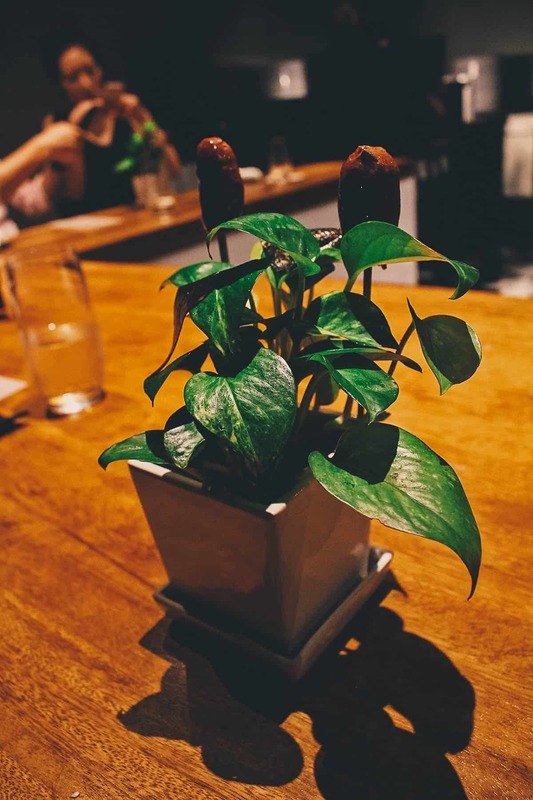 You wrap the sausages in those leaves and eat them together. 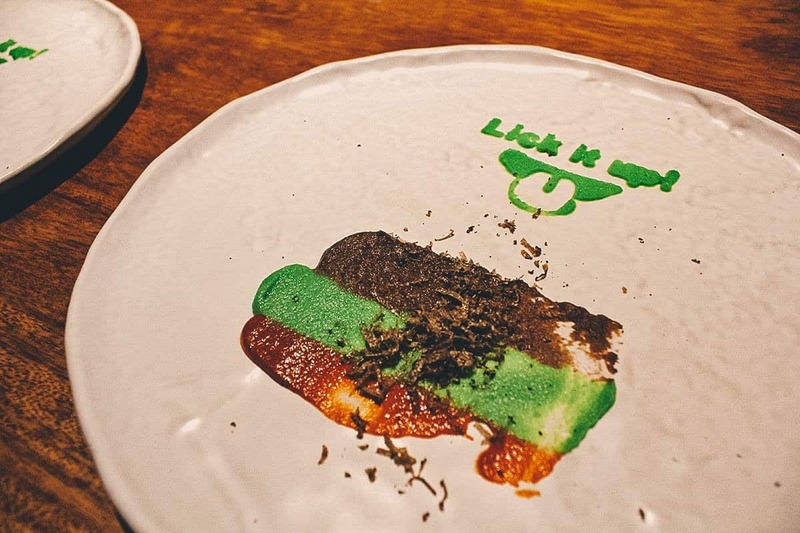 EIGHTEENTH COURSE: Served on a chicken skin “chip”, this course is Gaggan’s interpretation of Thai green curry with mushrooms. NINETEENTH COURSE: Like the “Lick it Up!” course, this dish was preceded by some tableside theater. 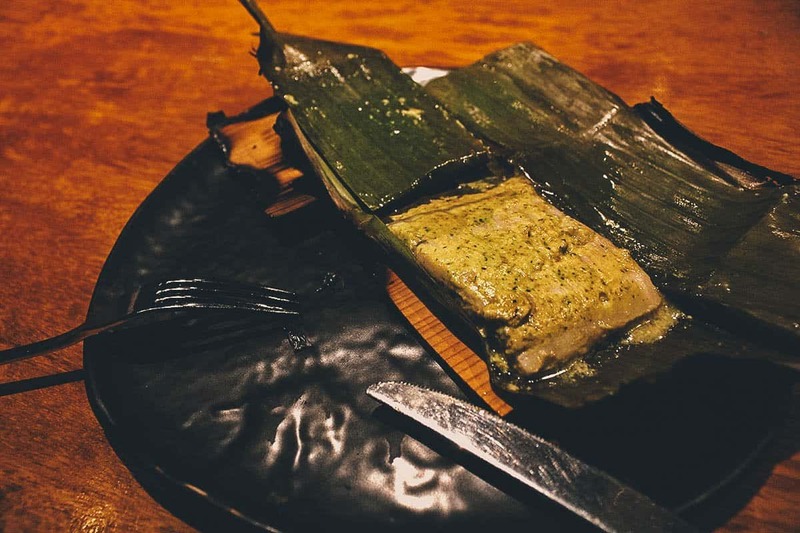 They switched off the lights and torched these banana leaf parcels topped with cedar wood before serving them to us. Inside the parcels was seabass made with Bengali mustard. It was delicious, especially with the aroma from the burnt cedar wood. TWENTIETH COURSE: A dish as black as your ex’s heart. 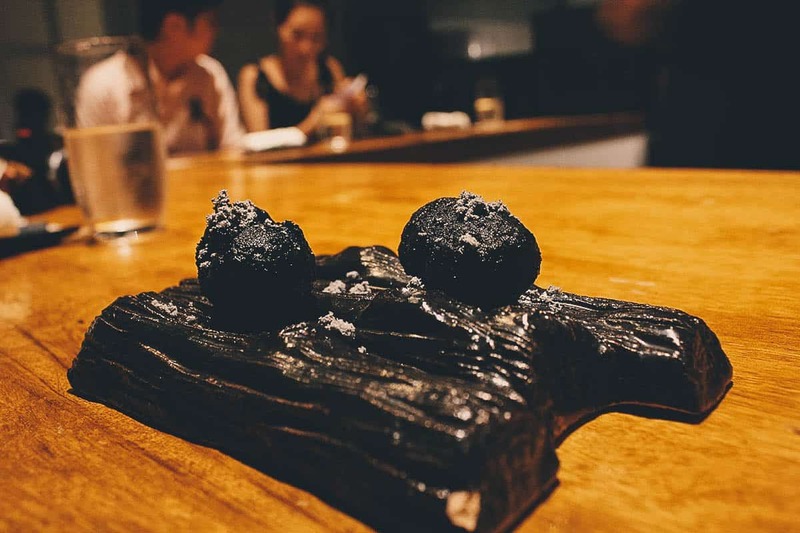 Called “charcoal”, this briquette-looking dish is actually made from eggplant and contains a lotus stem filling. Can you believe that? That black crunchy but porous coating is actually eggplant! The sous chef challenged us to guess what that ashen powder was made of. No one got it right. It’s onion powder. TWENTY-FIRST COURSE: This lobster taco was the last savory course and one of the best from the night. The wrapper had a flavor and texture similar to injera bread. It was so damn good. 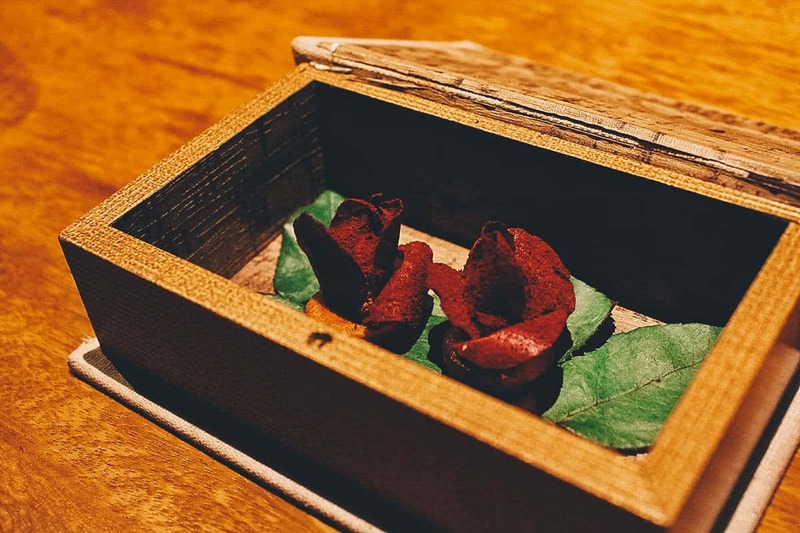 …beetroot desserts shaped like roses. Pretty right? 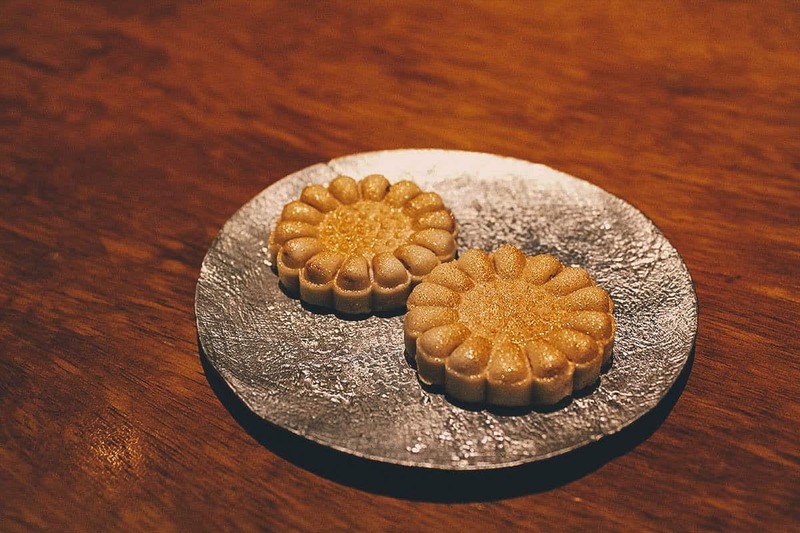 TWENTY-THIRD COURSE: These milk cake cookies were made with Riesling and Muscat. TWENTY-FOURTH COURSE: Aren’t these cute? 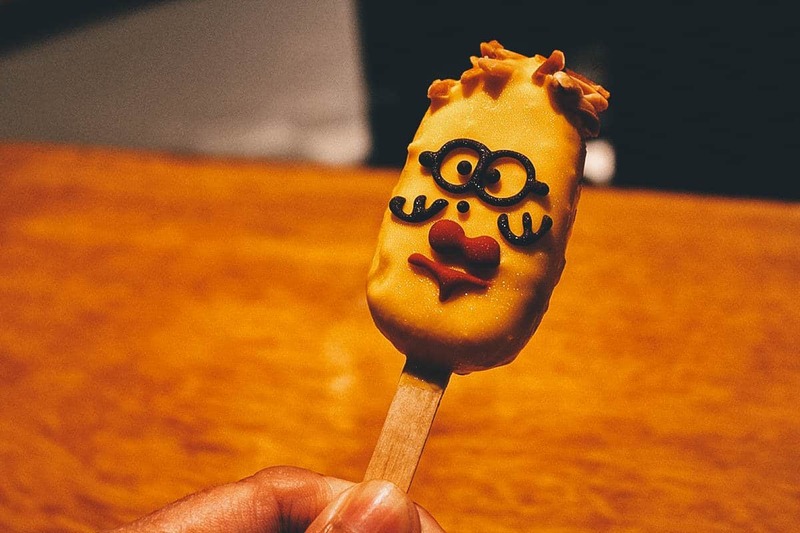 They’re lemon cheesecake mini Magnum minions. …peach ghewar! A ghewar is a Rajasthani sweet cake made with all-purpose flour and soaked in sugar syrup. I think it goes without saying that this was one of the most incredible, most memorable dining experiences we’ve ever had in our lives. 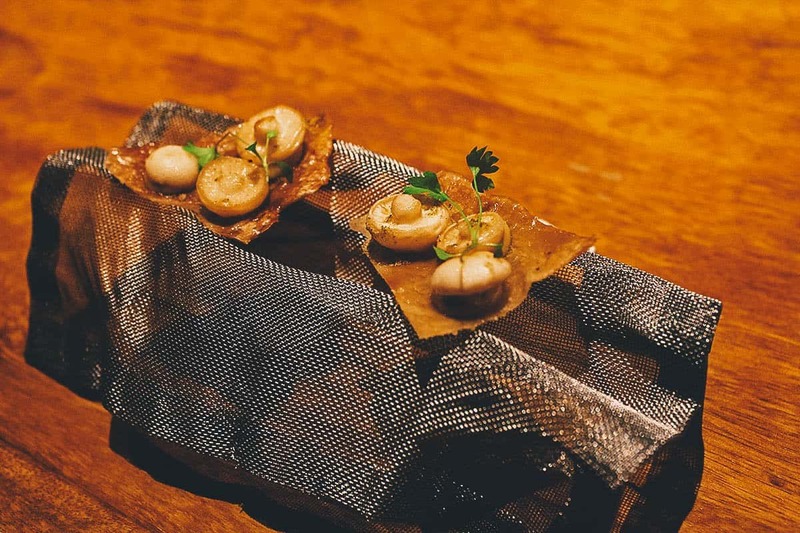 We’ve experienced three-Michelin-starred meals in Japan and Hong Kong, but this degustation at Gaggan was by far the most impressive, and enjoyable. 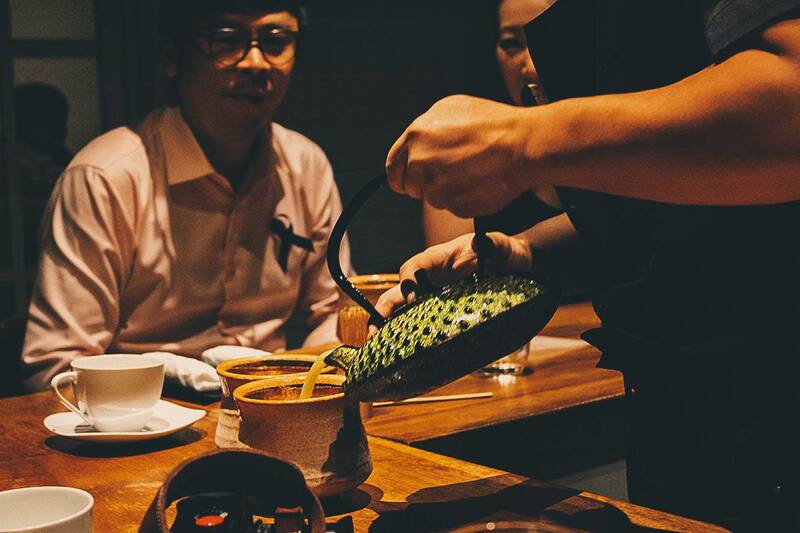 It’s a fun atmosphere that’s unlike your typical fine dining experience. 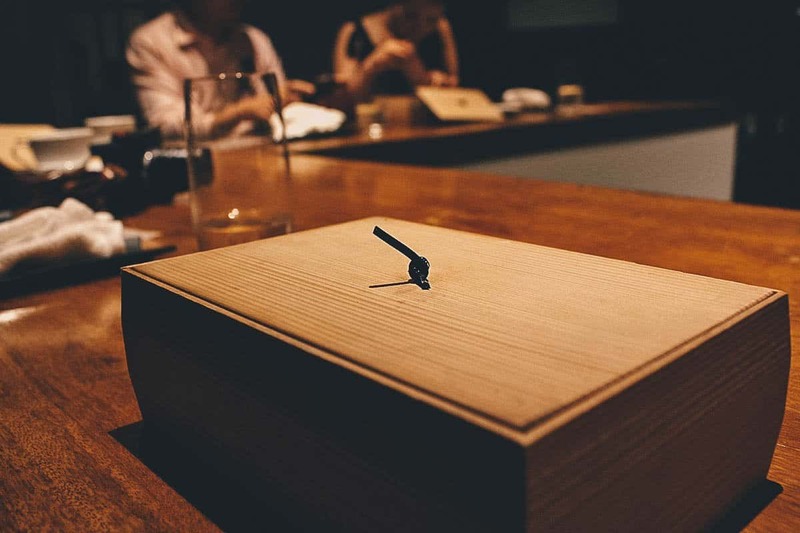 I can be pretty tense at chichi restaurants, but at Gaggan, I was able to relax and just enjoy the experience. They make it fun, as food should be. It isn’t everyday you get to experience Indian food like this either. Indian cuisine is among my top three favorites so it was great to experience it in such an innovative way. You’re used to seeing this type of treatment with more traditionally refined cuisines like French and Japanese, but never with Indian! I think it’s safe to assume that Gaggan is the only place in the world where you can have Indian food like this. 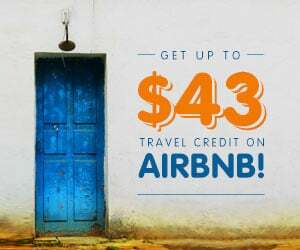 Our bill – after tax, a service charge, and two bottles of water – came out to over THB 12,500. It would have been even more had there not been a liquor ban because of the Royal Cremation. It’s super pricey for one meal, but I have no regrets. 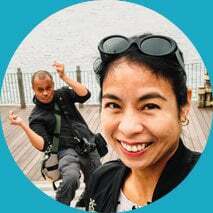 The way I see it, it’s a once-in-a-lifetime experience and just the type of thing Ren and I travel for. It’s something we’ll be talking about with much fondness for many years to come. 😀 <–– Emoji for a supremely satisfied customer. 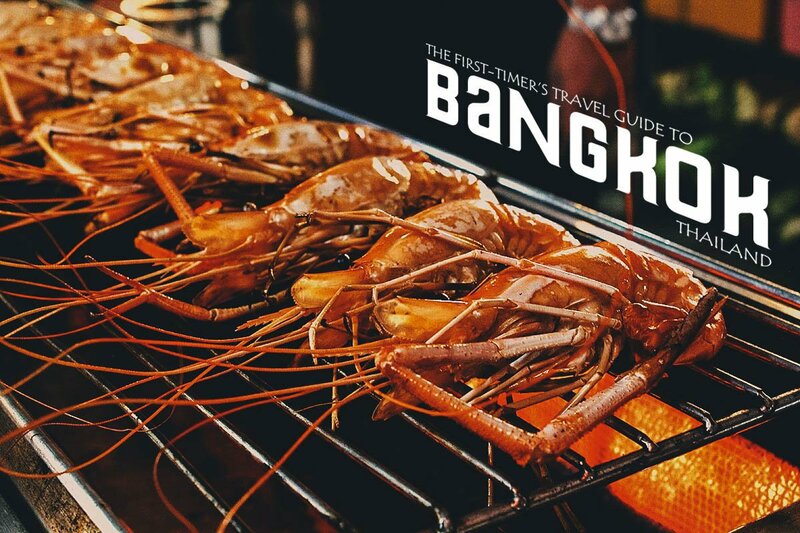 Take the BTS to Chit Lom Station. Upon exiting the station, make a right onto Soi Langsuan (ถนน หลังสวน). 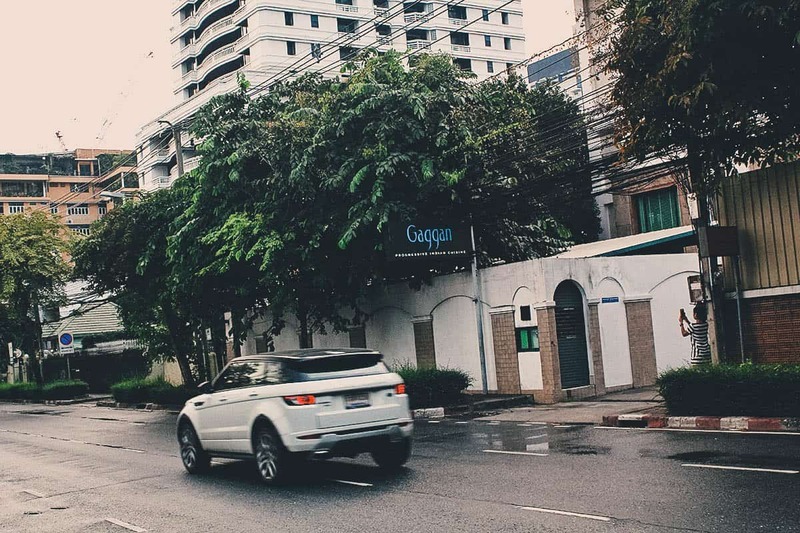 Walk straight for about 5-10 minutes until you see the Gaggan sign on the right side of the street (pictured below). The restaurant is at the end of this alley.